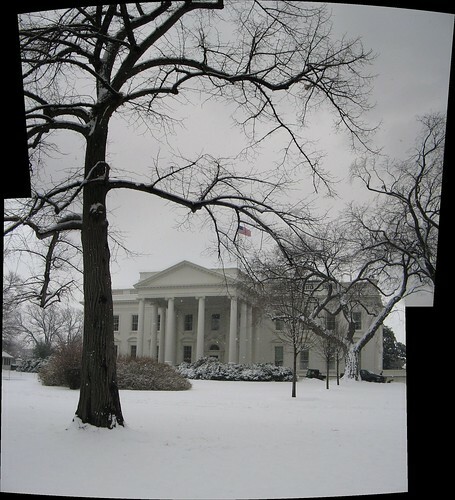 The White House, even whiter than usual. I had to go around two inaugural platforms, each three stories high, to get this shot. I hope they take down those eyesores soon. 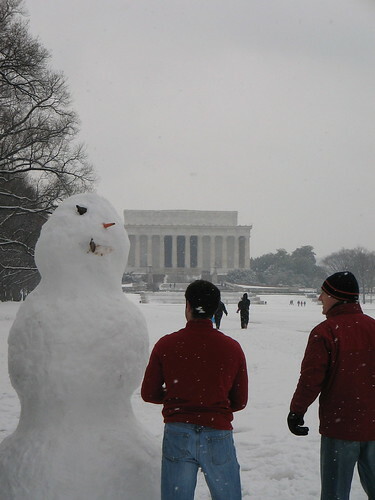 From afar, I thought, “Aw, how cute, those kids are making a little snowman!” Then I got up close and realized that those weren’t kids, and the snowman was over seven feet tall.